A massive travel and tours Zimbabwe owned company, Morris Polarprojects to launch in Leeds in UK this weekend. CNN Hero for Protecting the powerless, Decade Child Rights Hero alongside President Nelson Mandela, Ashoka Fellow, Author and multiglobal award winner Betty Makoni will be honoured and given a platform to sign her newly released book, A Woman Once a girl-Breaking Silence which brings the stories of girls she supports through her charity, Girl Child Network Worldwide. `Not in many years has any owner of a travel and tour company been so thoughtful to put the welfare and protection of girls first like has been done by Morris Polarprojects`, said Betty Makoni Chief Executive Officer of Girl Child Network Worldwide. Morris Polarprojects celebrates and launches its brand on 3 March 2012 in Leeds, United Kingdom and members of the public have invited to witness this historical event. `Girls have been victims of trafficking, forced marriages, forced prostitution and the tourism industry does not have strict rules and protection measures for underage girls who are taken into hotels and sexually abused. Morris Polarprojects takes a more new innovative approach to help stop the menace by establishing a partnership with community based projects like ours,` she added. Morris Polarprojects primarily is established to organise travel and tours in Africa. At POLARPROJECTS, they believe that before anything else, the fundamental purpose in starting any new enterprise is to CREATE MEANING. Start off catering to a small market, and if what you are doing is worthwhile, other opportunities will emerge. Notable amongst its achievements is bringing visibility to charitable causes. The Founder of Polarprojects, Morris Kusotera believes that today’s entrepreneurship approach is different from those 20-years ago. The recent credit crunch levelled the playing field. Today if one is not planning their business on NEED then the business will struggle. The second strength is harnessing HUBS of people that make things happen. Without people centred skills one will toil aimlessly. Businesses are social organisms that thrive on GLUE of talking to people well. Today’s businesses need innovation. The YOUNG have a lot to offer. Betty Makoni and Girl Child Network Worldwide embraces the same principles with thrust and focus on girls and women creating their own social enterprises and less depend on handouts and donor funding. Lyfe Martine is the guest musician. 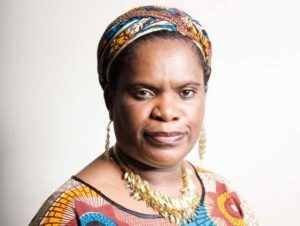 Betty Makoni will briefly speak as well as sign copies of her newly published book, A woman, Once a girl- Breaking Silence. The book which has been described as Amazing by Thurrock Gazette reporter Louise brings the stories of girls and women to the fore and what the world needs to do to support. There are airline tickets from EMIRATES to Africa to be won. Guests have chances to win many prizes to include an African safari holiday, a shark diving experience in Cape Town, a Lion Encounter safari in Victoria Falls, AFRICAN SUN has announced a Prize of 2-nights for 2-people sharing at The Kingdom Hotel at Victoria Falls. Saturday 3 March 2012 in Leeds, West Yorkshire. Indian Centre, 10 Laycock Place, Leeds, LS7 3JA. From 6pm till Late. Strictly No Under 18. Cash Bar.